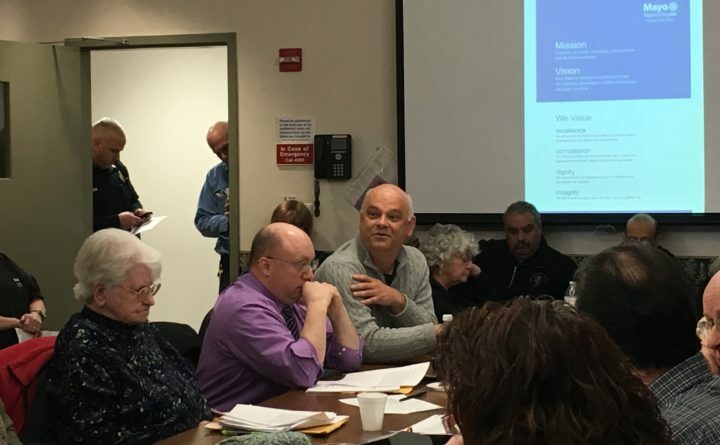 Gerald Nessmann of Sebec, a member of the Hospital Administrative District 4 board, speaks at a Feb. 2019 meeting before the board voted to merge Mayo Regional Hospital with Northern Light Health. But Hospital Administrative District No. 4 filed a motion to dismiss the lawsuit, which Superior Court Justice William Anderson granted on Wednesday of this week. That was the same day Northern Light’s board of directors agreed to go forward with the proposed merger. Early on Thursday, Nessmann said that he still had not had time to carefully review the order dismissing his lawsuit. He didn’t immediately respond to an email seeking comment.